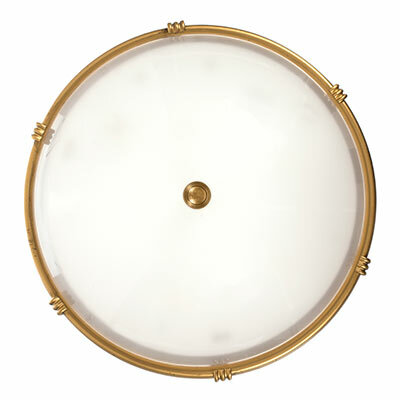 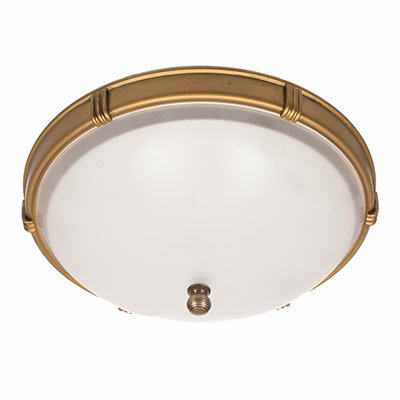 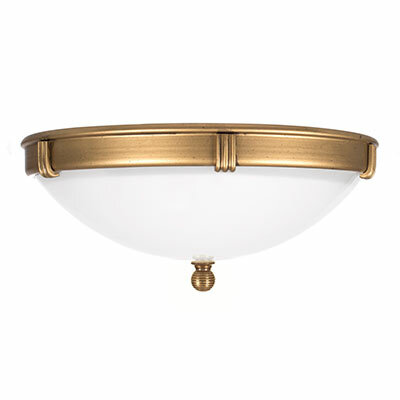 A circular flush fitting wall or ceiling light. 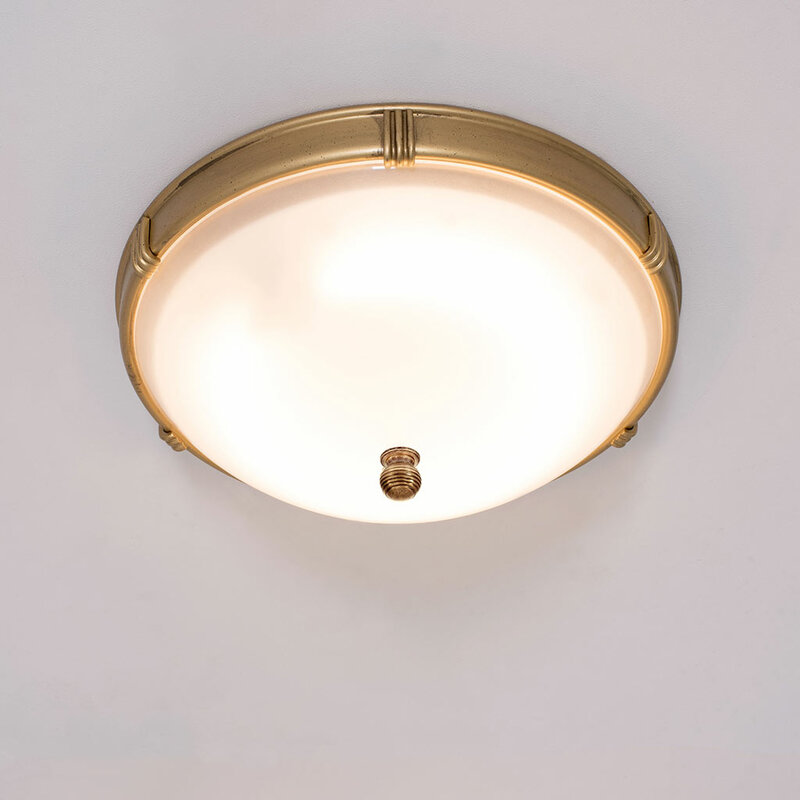 This light is cast in high quality solid brass then hand painted in Old Gold to achieve a simple, elegant matt finish paired with a frosted glass shade. 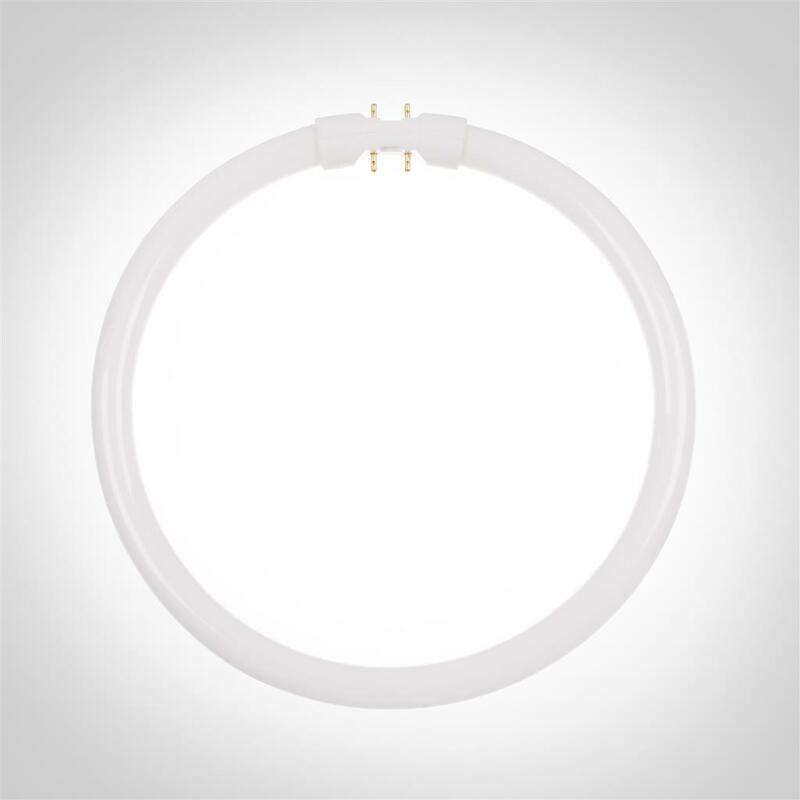 It is supplied with a low energy 22w circular T5 bulb, which gives very even light distribution and is similar in light output to a 100w bulb. The bulb isn't suitable for dimming. 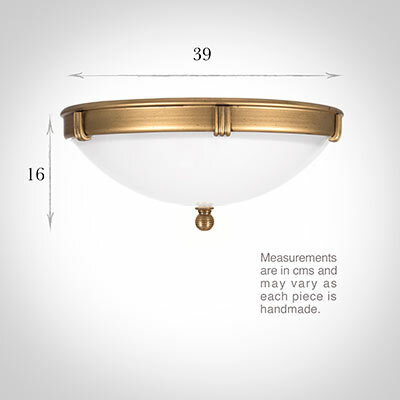 It is not recommended for use in the USA.